Chairman of Northern Elders’ Forum, NEF, Chief Paul Unongo, yesterday, revealed how Igbos rejected the late Nnamdi Azikiwe as presidential candidate during the 1979 elections. Unongo spoke at a lecture organised by Chief Charles Udeogaranya and Ohanaeze Ndigbo to mark Zik’s post-humous 113rd birthday in Lagos. He said, “ I will talk Nigeria on Zik’s birthday. I remember the first time I saw Zik, when he came to Tiv land, it was in 1946. My father obliged me and took me there. I remember, I had six shillings and I was so moved, I donated the entire sum to his cause, as espoused. “His speeches influenced me so much that I used to read his papers, particularly, The West African Pilot, more than my school notes, and got caned regularly for reading the “subversive” papers we were forbidden to read by our expatriate British teachers. “Truthfully, the political history of Nigeria is incomplete without acknowledging the towering role of Zik in the political movements and parties in colonial and post-colonial Nigeria, notably the Nigerian Youth Movement, Zikist Movement, National Council of Nigeria and Cameroons and Nigeria Peoples Party, of which I had the privilege of being its first secretary-general. “We miss Zik today as we grapple with the challenges of nation-building and the resurgence of the national question. We miss Zik today, when we need national bridge builders. This great man, Igbo-speaking, who was born in Zungeru in Northern Nigeria and made his most profound political mark in Western Nigeria was a true Nigerian patriot, who resided in Lagos. “We miss Zik, the man of intellect, the man of profound humour and creative deep thought. He was innovative and big enough to compromise for the good of his country and people, when the occasion called for compromise. “He touted the philosophy of pragmatic federalism and Nigeria did not listen. They called him names and ended up fighting a horrendous and most destructive civil war. “Currently, Nigeria is at it again, embroiled in various agitations, including self-determination, restructuring, referendum, quit notices, recall notices, resource control, secession and federalism, among many other issues. 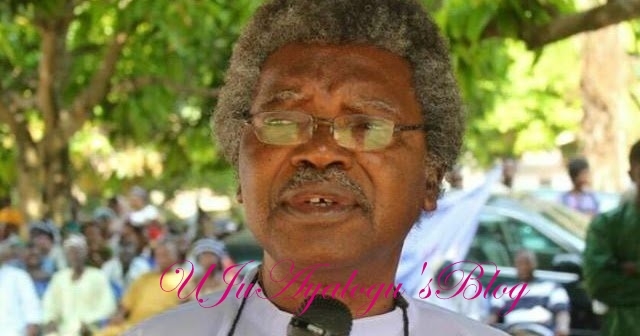 Unongo praised Zik’s leadership qualities, which he said convinced him to work for him. “It was this conviction that made me take the Rt. Hon. Dr. Nnamdi Azikiwe throughout the Federal Republic of Nigeria canvasing for votes, to make him the Executive President of the Federal Republic of Nigeria in the elections of 1979. “To my greatest surprise and shock, I found the greatest resistance to my presidential candidate in the Igbo speaking area of Nigeria! The majority of Igbo people told me that no Igbo man could become President!” He said. According to him, “those agitating for restructuring, purely based on political and ethnic considerations are averse to competition. Nigerians have competed very well in the economic and academic spheres regardless of location. They must not be afraid of competing in the political sphere as well.